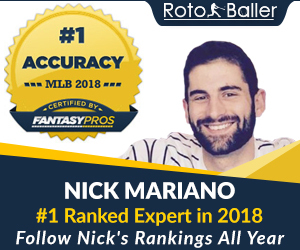 For the first time in the history of fantasy football and the internet, RotoBaller is offering LIVE fantasy football advice for DFS and weekly games with our chat room below! And it’s all free. Have fantasy football DFS questions for sites like FanDuel? Lineups advice, sleepers, strategy, weekly picks – ask anonymously, and get live advice asap. You can also create your own chat room username by registering for free on the top right of the site or clicking here. Make a call to the RotoBaller chat room and get some real-time fantasy football DFS advice. Please be sure to follow these guidelines so everyone is having fun. We love great football banter… what we don’t love is chats that stray from these guidelines. Above is our DFS Fantasy Football chat room for FanDuel games. It may take a few seconds to load so hang in there. If you look on the bottom right of your screen, you will also see the RotoBaller Live Chat window. After you click on it to open, there are other public chat room areas called FOOTBALL CHAT ROOM, BASEBALL CHAT ROOM, and others. Get involved with some football talk, ask your fantasy questions, read other discussions, or feel free to chime in and reply back with your own 2 cents. Remember you can ask the RotoBaller staff any questions, and we'll reply back to you as quickly as possible. 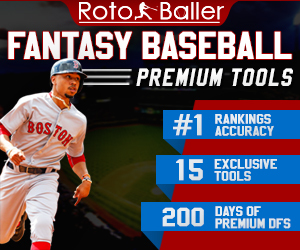 You can also chat directly with RotoBaller by clicking on our name, or directly with any other users on the site! Need to know which sleepers to target for your FanDuel lineups? Wonder whether you should start a certain runnings back or wide receiver? Questions about game-day injury news? Just click on over to RotoBaller's LIVE CHAT and pose the question to our expert staff! We'll get back to you in REAL-TIME, leveraging our years of fantasy football expertise to answer your specific question.